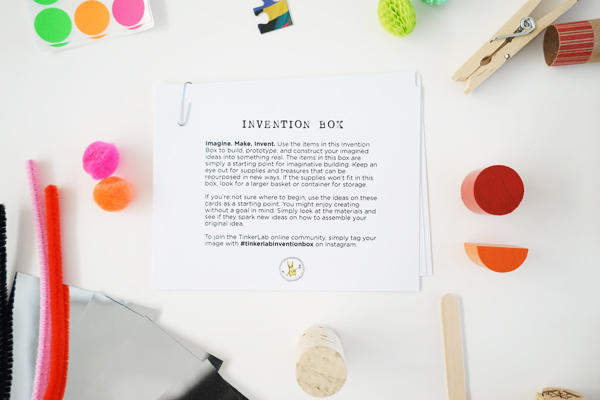 This printable for the Invention Box card set includes one high-quality page that will be cut into four smaller pages. 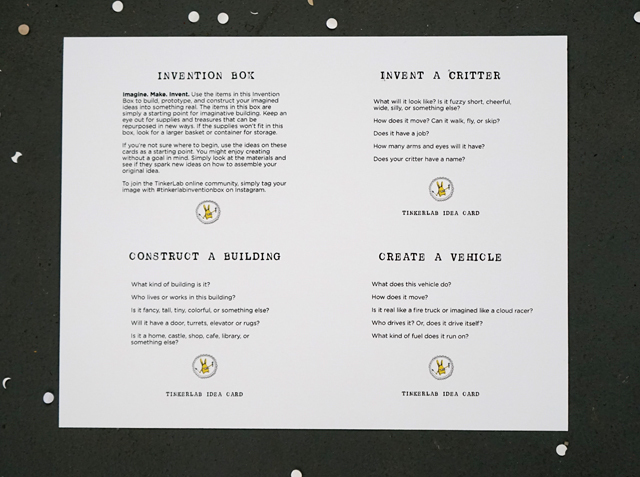 The mini pages include: one sheet of motivating instructions and three project prompts to build a critter, vehicle, and building. 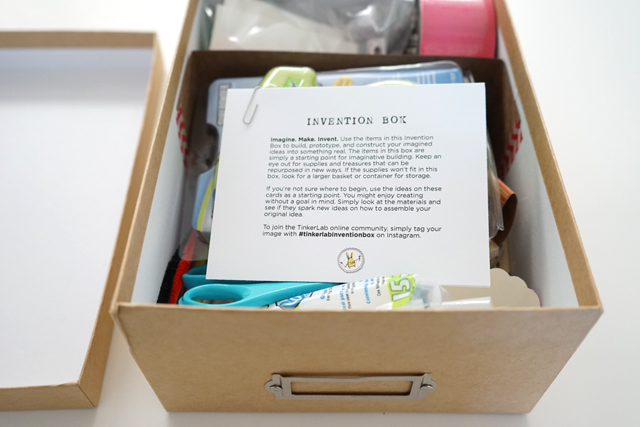 Print this set of four cards for your DIY Invention Box. Select: Fit to Printable Area. 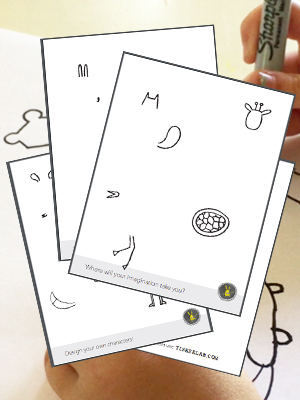 Print onto a heavyweight paper such as card stock. Cut the cards by cutting the paper in half, and then in half again. You will now have four cards. 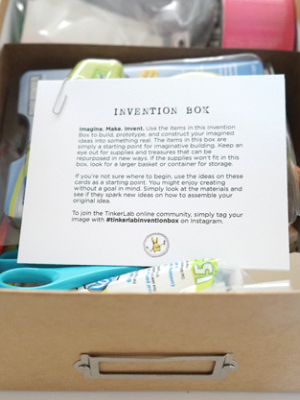 Place the cards on top of your Invention Box.